This posting concludes the series about pupils and former pupils who died at a young age, sometimes whilst at school and sometimes just afterwards. Of one fact we can be sure: whilst in the care of the Royal Masonic Institution for Girls, they received exemplary medical care even at a time when childhood mortality rates were higher than we are used to today. Whether their deaths occurred at the School, with or without family members by their sides, or if the death happened after their time at School, none of them can be attributed to slipshod care on the part of the School. This series, highlighting the untimely deaths of some of the pupils of the School, may give a disproportionate view of the care afforded to them in their time at RMIG. This could not be further from the truth. To date, the numbers of pupils who have received an education at the school since its inception are numbered at 5000++ so the relative few that died as children is a huge tribute to the care they received. “To-day one child in seventeen dies before it is a year old, but in 1840 the figure was about one in six, and about a third of the children born died before the age of five” http://www.libdemvoice.org/life-expectancy-of-13-thats-victoria-values-for-you-17571.html On that basis, the 34 examples in this series are a triumph! From its inception, the School took great care over the health and wellbeing of its pupils. There are numerous examples of extensive medical treatment being undergone with no question of any cost to the patients concerned – and this long before the NHS was even dreamed of. Inevitably, though, there were fatalities and this series attempts to give them a brief glory that their short lives failed to give. Louisa Margaretta Willis (1838-1850) died aged 11. The family home at the time of her petition was 115 St Martins Lane, Holborn and the application gives her father’s name as James Willis, Public House keeper (business failed); she had one brother and one sister. It seems possible that her mother was Jane and that her siblings were Annette & James. She was accepted at the school on 14 October 1847 and the Chelmsford Chronicle of 22 October 1847 confirms her election along with five other pupils. Louisa probably did not have any connection with Chelmsford and the fact that a provincial newspaper reported the election is an indication of the nationwide interest that was taken in the school in London. As her death record is for the Holborn district, we know she did not die on school premises. 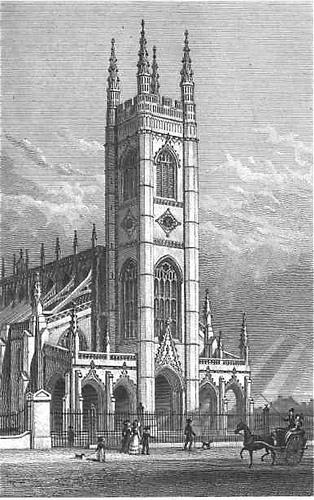 She was buried at St Luke’s, Chelsea on March 25 1850 with her address recorded as Bedford Row, Bedford St. Why, then, she was buried in Chelsea we may never know.